Jacob Henry Pivonka grew up on the plains, attending school a few months of the year. As a young man he worked at various jobs. He married Mary Vesecky and they settled on a farm about a mile and a half south of the homestead. He was a farmer all his life. After his wife Mary died the oldest daughter Clara managed the home until she married. The family was always a very close knit, happy, fun-loving family. The home was a place where relatives and neighbors often met just to visit and enjoy a relaxing Sunday afternoon, The two oldest sons served in World War I. "I was going thru some of my father's photos and found two post cards with photos of two of Jacob Henry Pivonka's sons. The first photo is Edward Joseph Pivonka (eldest son). The second photo is Ralph Frank Pivonka (second son)." Edward Pivonka, p31. 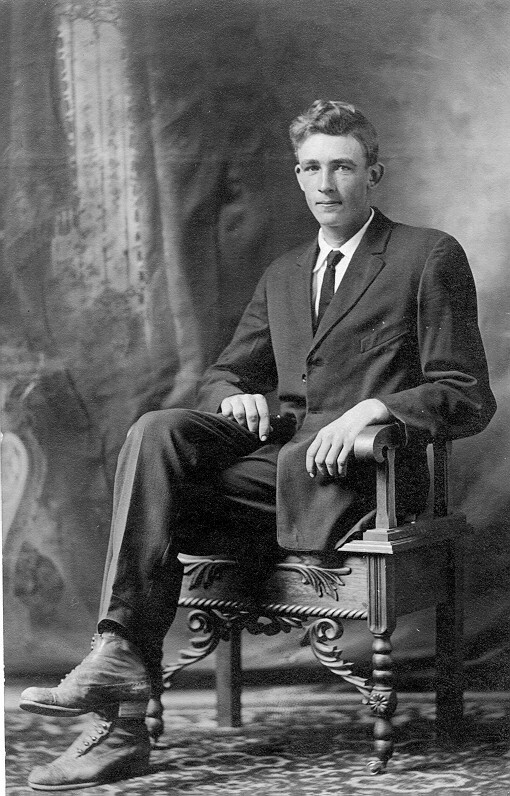 B. Feb. 1, 1894, Rush Co., KS; D. April 3, 1965, Larned, KS. Ralph Frank Pivonka, p32. 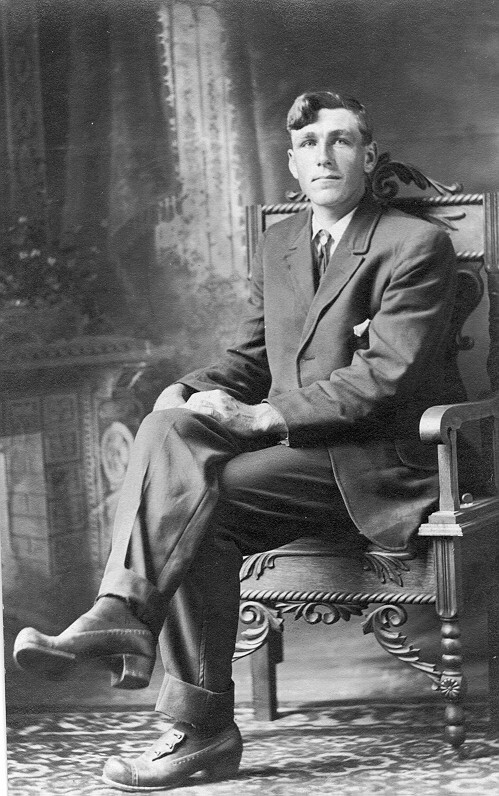 B. Dec. 7, 1895, Timken, KS; D. June 21, 1977, Lamar, CO.
Frank Pivonka indicates in the forum posting that if anyone is interested in a copy of the photos, they can leave a message in his forum with your eMail address and he will send a copy.